Join me in beautiful Colorado for our 3-4 day long doll seminars. Come stay in the Dolly dorm, enjoy lunch on the patio, learn to make dolls and sew historically correct costumes. We have a room to sew in and a room to paint in. Take a trip to the largest Antique Doll Shop west of the Mississippi, Turn of the Century Antiques, where we learn as well as shop while we have the store to ourselves. In the evenings we enjoy dinner out as a group. So come have fun, create, dress and learn. 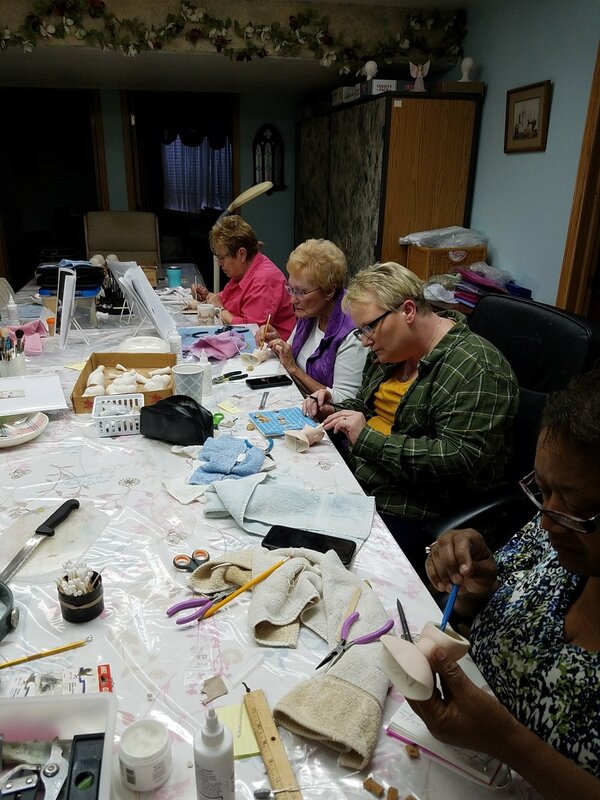 Lady Marion (DDP) Includes Seminar Includes: Greenware; firings; reference materials; fabrics and laces for dress; cloth body with cage coverings; cage; all hardware for surprise/jewelry box; metal glues; wood stand; turn table, other miscellaneous supplies and lunches. 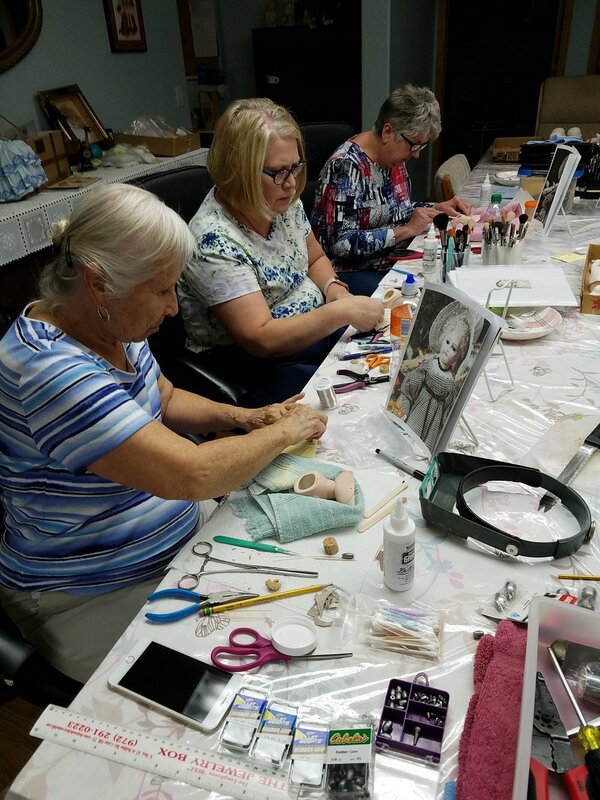 It's never too early or too late in your doll collecting journey to learn tips and tricks for doll care and preservation. In the virtual workshops, you will receive your supply lists the week before so you can work with Linda Wall in real-time. The supplies will be easy and inexpensive to find/purchase, and you might already have them. THE OPTIONAL SEWING KIT FOR THE WORKSHOPS IS AVAILABLE NOW. These workshops are ALL SKILL LEVEL. THERE ARE TWO KITS AVAILABLE. There is the Steampunk Kit for a Lady Doll and the Kish Kit. The Kits come with everything you need to create these outfits and with the Boots! Linda Wall has received the Doll Artisan Guild Award of Excellence in Doll Making, and is an international educator for Doll Artisan Guild. She holds an Honorary Doctorate in Dollmaking, and will be your private educator for the convention.